Ron Ketchum saw his share of the dark side of life as a cop in Los Angeles. Then he left L.A. to become the chief of police in the Sierra Nevada resort town of Goldstrike. One sunny morning in the mountains, though, he comes upon a crime unlike anything he's ever seen before. 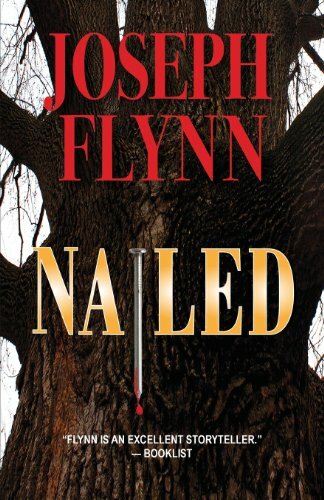 He finds the body of an African American man nailed to a tree. The victim is a highly respected minister, and his father is the nationally known televangelist Jimmy Thunder. Ron, on the other hand, has described himself in court as a recovering bigot. Goldstrike's mayor for life and movie icon, Clay Steadman, wants Ron to catch the killer fast. Adding to the pressure, the victim's grandmother comes to town. She tells the media mob that has descended on Goldstrike that God will curse the town until the killer is caught. That's when a rogue mountain lion begins attacking people. At first, the attacks happen on the wilderness outskirts of Goldstrike. Then the predator moves into town, leaping a fence into a family's backyard. Finally, it turns the tables on one of the hunters sent out to bring it down. Looking for a killer, hunting a lion and defending his own integrity - makes being a cop in L.A. seem like the good old days. Joseph Flynn is the author of Digger and The Concrete Inquisition. He lives in central Illinois, where he is currently at work on his next novel.